He picked up the gong in the South West region of the National House Building Council's (NHBC) Pride in the Job Awards 2018. Alan was one of the winners selected for a Quality award from more than 16,000 site managers from across the country and the achievement illustrates Bovis Homes' drive to recruit the best in the business to deliver high quality construction in Fairford and the rest of its Western region. Alan, who has worked at the location for the past couple of years, said: “It feels absolutely fantastic, it's been unbelievable. “I've got the best contractors in the area working here and all the team are very proud, they've worked so hard to win this with me. Supriya Ray, managing director of Bovis Homes' Western region, said the award was “well-deserved”. He said: “This is a fantastic result for the team and the region. It is clear every day how much effort they put into the site and this award is well-deserved recognition of that. Alan will now be entered for the Seal of Excellence and Regional Winner titles, the winners of which will be announced on 21st September. 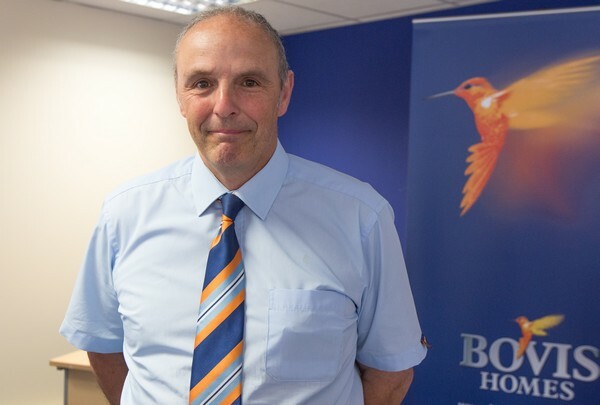 Alan is one of six Bovis Homes site managers who won Pride in the Job awards across England this year. It is the highest number since 2012.